What happens when you send three Grommet employees to the International Gift Fair in New York City and set them free to roam 2,900 exhibits? They all discover the same belt. How to explain this shared “got to have it!” moment? 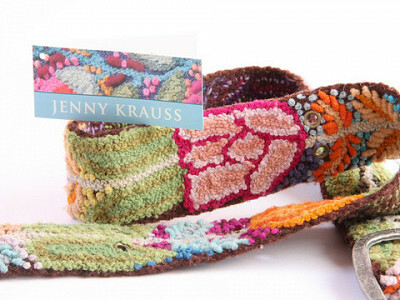 The longed-for Jenny Krauss belts are beautiful, hand-crafted and colorful. An artisan labors over each one for two days. The women use a curly woolen Boucle yarn that creates a nubby texture on the finished product. The result is a wearable work of art that’s feminine and fun. And they’ve only been available in the United States for a few months, so they have a fresh look that’s perfect for a new season. Jenny, an art school grad and sculptor, works with a Woman’s Fair Trade Group in Peru to create the belts. The artisans are often victims of domestic violence. Sewing allows them to work while caring for their children. Their financial independence makes their lives safer. Jenny Krauss belts are just the thing to add zip to your jeans and a T-shirt this spring. Of course, helping out women in need is always in fashion. I’m so pleased that Daily Grommet is featuring my hand embroidered belts from Peru. They're made according to fair trade guidelines by a women's cooperative in the Ayacucho region of Peru.These women have very few opportunities for employment so your purchase empowers them economically. The embroidery is unique to each belt and they look great with jeans, skirts. . . any outfit that needs a little spark. These are gorgeous indeed! Jenny, have you had a chance to visit the women who make these? How long have they been selling their belts...has it been long enough to see an impact in their lives? I would love to hear more about this impact...the things they are now able to buy and do! Thanks for your work, it's very important. Hi Jenny, These look beautiful and very meaningful. Can you tell me how wide they are? Thank you for helping these women. @Sara- Great question! The belt width is about 2 inches. I have had no problem with getting it through my jeans belt straps. The belt buckle is about 3 inches high and 3 1/2 inches wide. Yes, the story is great! Can you imagine embroidering for two days! This is one Grommet which is hard to really see on video and even in photos. The textures and colors are really stunning....a little clearer and less "fuzzy" looking than the images we are showing you. I always do a double take when I see one of these belts on Jen or Barbara. I'm going to pony up for my own today. Hi Katherine, I have visited most but not all of the women who make my products. Some groups have been working for me for a few years but I just started working with the belt makers last summer. For more info and pictures go to www.jennykrauss.com and click on the artisan page. Oh.....I was too late. All the large are gone. Beautiful belt though. I'm certain that they will be a sold out item. These belts are the best! I have one and love it; it goes with everything. That they're fair trade and made by a women's cooperative is icing on the cake. I bought 3 to give away as gifts. Jenny Krauss is way hot!! I apologize for the previous comment It was completely inappropriate. @Pam - they are beautiful, aren't they!? I'm pulling this information over from the 'Grommet Details' tab under the main story. It's always good to have the information in two spots. Medium fits 28" – 37"
I have just bought one of the wonderful belts. And I am rally glad to have one now. It is so beautiful and what about the idea to also make handbags out of this material? I think they would also be wonderful. @Ingrid DÃ¼rselen: Great idea! We are glad that you love your belt. Jennie, I would love to buy these belts to put in my stores in Florida. Please let me know how to get in touch with you. Thanks. @Linda Pratt: We're glad that you love these belts. I have sent you information on how to reach Jenny. 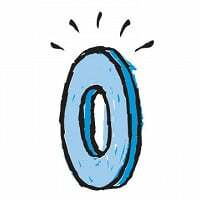 What is the measurement of the longest and shortest grommets on the large size belt? These are the BEST belts EVER. I have had one for 3+ years and everytime I wear it I get the most complements. I also have a cluch purse and a canvas tote bag with the woven designs on the straps. I could have sold a million of these every time I go out. Cheers to the ladies in Peru for workring so hard and making such beautiful items for us to enjoy. What happens when you send three Grommet employees to the International Gift Fair in New York City and set them free to roam 2,900 exhibits? They all discover the same belt. How to explain this shared “got to have it!” moment? The longed-for Jenny Krauss belts are beautiful, hand-crafted and colorful. An artisan labors over each one for two days. The women use a curly woolen Boucle yarn that creates a nubby texture on the finished product. The result is a wearable work of art that’s feminine and fun. And they’ve only been available in the United States for a few months, so they have a fresh look that’s perfect for a new season. Jenny, an art school grad and sculptor, works with a Woman’s Fair Trade Group in Peru to create the belts. The artisans are often victims of domestic violence. Sewing allows them to work while caring for their children. Their financial independence makes their lives safer.